Los Angeles (AFP) - Unbeaten British heavyweight Tyson Fury will return to the ring against German Tom Schwarz on June 15, fighting for the first time in Las Vegas, Nevada, promoter Top Rank confirmed this weekend. 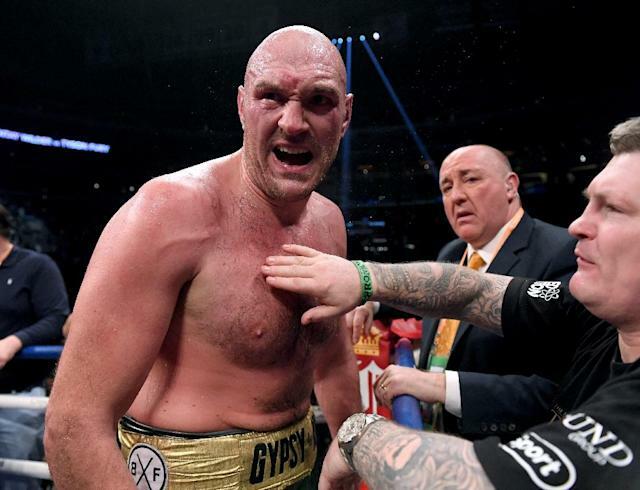 Fury has since signed a deal with Top Rank and US broadcaster ESPN, which will carry the June bout -- a deal that slowed plans for a rematch with Wilder. Schwarz, 24, brings a record of 24-0 with 16 knockouts to the bout, but the towering 240-pounder is taking a massive step up in quality and has fought only twice outside of Germany -- both times in the Czech Republic.